Changing Bits: Lucene's TokenStreams are actually graphs! thank you so much, it is very insightful! I'm trying to figure out how to use the SynonymFilter and was wondering if you could share the code for your analysis chain. I've tried Googling for help, but haven't had much luck. Maybe try looking at the unit tests we have for syn filter? Thanks, Mike. I don't know why I didn't think of that. When I Googled for SynonmFilter it turned up mostly links to the code. Maybe I'll have to start a blog and document my learning process. Right now I have a working SynonymFilter but I want to use an external file to define my synonyms, so I'll be playing with SolrSynonymParse next. Yes please create a blog post describing how to use SynonymFilter, and/or patches to improve the javadocs! "One problem is that the indexer completely ignores PositionLengthAttribute"
Basically, it is impossible to handle multi-word synonyms with phrase queries when the query string contains overlapping terms. Do you know or plan any workaround for this? One possible workaround is to call PhraseQuery.setSlop: this allows some "fuzziness" in the exact ordering of the words. Great post. A couple of questions. Is the position length even stored in the index? Are there plans to add this to Lucene in some future release? Do you know of any workaround for that problem? As I understood the query stack must be rewritten to be able to search. 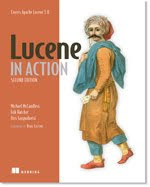 Do you know of any implementation sample code or tutorial for lucene 4? Workaround for which problem? The fact that posLength is not added to the index? I don't know of any workaround currently ... you might be able to index into a payload somehow. However you can still index and search annotations spanning multiple tokens already today, it's just that the searching of positional queries (e.g. PhraseQuery) won't be 100% correct. I am new to Solr Technology and I want to use SolrTextTagger in my project but was failed to setup it up on my machine by following the instructions given on David Smiley Github Repository.Can you please share some resources related to SolrTextTagger which might be helpful. Does the indexer still ignore PositionLengthAttribute? Is there a ticket tracking that? Yes, it still ignores it. I don't think we have a Jira issue open to add it to the index ... it's not clear there's a solid use-case that requires it ... and adding it would be quite a bit of work. You could use payload today to encode it, just using a custom TokenFilter. Thanks, I will try the payload route. Our use case is synonym expansion of controlled vocabularies with many synonyms of varying lengths. We would like phrase queries to work with all the synonyms. i.e "United States voted on NATO resolution" or "US voted on North Atlantic Treaty Organization resolution" returning the same results. eg: "fast wi fi network is down". If using solr.StandardTokenizerFactory , I have the "Position " corresponding to displayed : fast ( 1 ) - > wi ( 2 ) - > fi ( 3 ) - > Network ( 4 ) - > is ( 5 ) - - > down ( 6 ) . But I need you just create a new custom or class to the question above is "fast wi fi network is down" but the analysis is currently Position as follows : fast ( 1 ) - > fi ( 2 ) - > is ( 3 ) or wi ( 1 ) - > network ( 2 ) - > down ( 3 ) . I know it involves startOffset , endOffset ... but I can not figure out how to solve . I can't tell whether you have a matching issue (PhraseQuery matching when it should not, or vice-versa) or a highlighting issue. I'm trying to find topics about Custum PositionFilterFactory in solr 5.2.1 version. Do you know for this? Do you know of any resolve for that problem? This is an easy custom TokenFilter; it's incrementToken would just increment the incoming Tokenizer, discard the first one, and keep the second one (return to its caller). Yes, I know but how specifically? Would you mind showing? Thank you for answers, I'm with you. And. I am new to the techniques Solr and can be difficult to solve a few problems. Would you mind having your email, please? Instead of my personal email, can you please direct questions to Lucene's user's list (java-user@lucene.apache.org)? I am using a decompounding in my application. My problem is the results i get even if any one of the term is present for ex: rotwein , It gets tokenized into "rotwein","rot","wein".This is parsed at query time to( rotwein or rot or wein) . But i want this to be only (rot and wein). How can i achieve this. Any pointers would be of great help. You need to somehow configure or fix your decompounder not to emit the "rotwein" term.